When one talks about Nemea, it will classically be described as the largest PDO region of the country with approximately 2.500 hectares under vine. The variety that is considered the ultimate star is, none other, than the charming Agiorgitiko, which produces soft, fruity and easy-drinking wines. This may be a statement that involves much truth, but it is not the whole truth. One needs to walk through the vineyards and the larger area to fully grasp the diversity of the terroir. It is worth trying the wines of each locality separately so as to discern the breadth of all the different elements and how these are imprinted in the wines. It would not be an exaggeration, I think, if one were to say that Nemea rivals Naoussa in terms of the complexity of terroir. Nevertheless, what I describe has not been highlighted during these recent years. 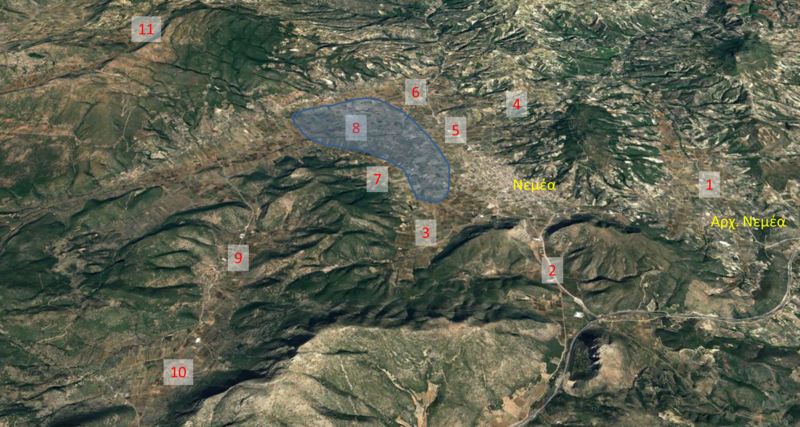 Not only have these facts not been made known, but the image of Nemea has suffered. Oceans and seas of cheap, bulk wine supply armies of thirsty consumers damaging the reputation of the area, which has come to be associated with poor quality, dubious wine. 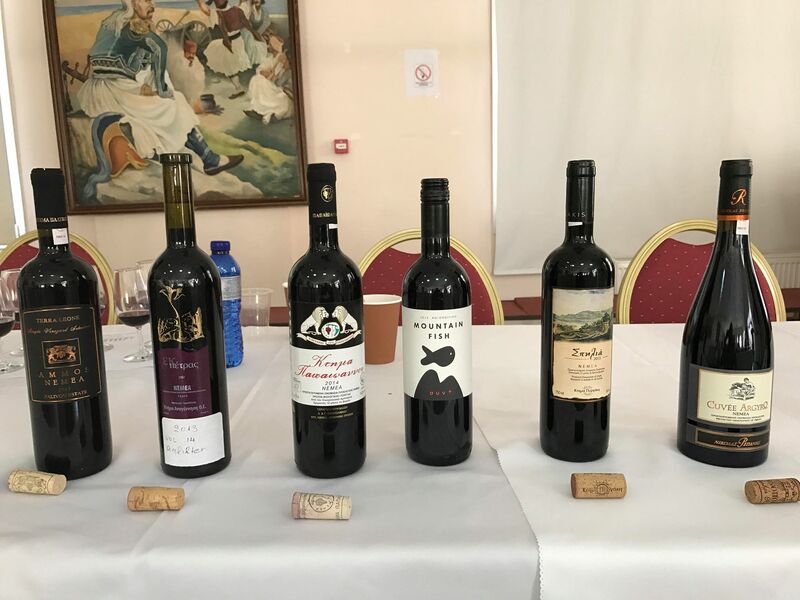 If one bears all this in mind I actually wonder how well we know Nemea and because I like challenges, and the unattainable even more so, I set up a tasting during the Great Days of Nemea to show the diversity of the area. The altitude for the zone starts at 300 meters and reaches above 1200 meters, but vineyards are planted up to 850 meters in Asprokambos. Approximately 50% of the vineyards are up to 500 meters. The climate, although generally Mediterranean, in practice shows great difference even within short distances. The rain is theoretically at about an average of 750 mm and is 80% more common during the winter, however, it does not follow any rule thus affecting what we call a vintage to the maximum. There are years with minimum rainfall (2007 with 408 mm, 2008 with 515, 2013 with 541) and others where it reaches close to 1000 mm (1999 to 908, 2010 to 872, 2014 to 826). And, as if the rain were not enough of a problem, add the cool nights to the equation, and this makes it all the more exciting and complex. The soils are characterized by the presence of clay and silt, but there is also limestone which seems to add a different feature to wines. Naturally, in the lowlands the soils are more fertile, whereas the farther one goes up to the hills, the soils become shallower, with more rocky features, and at the highest level one encounters marl which gives very good drainage and thus lower yields. Up to now, all of what I have described above has not been highlighted. Everyone thinks Nemea is uniform without realising its many facets. To a certain extent this is justified by the fact that the majority of wines are blends. Koutsi has been singled out and there has been some discussion about Asprokambos and Ancient Nemea. Personally, I consider this an exciting puzzle that is worth exploring and tasting. 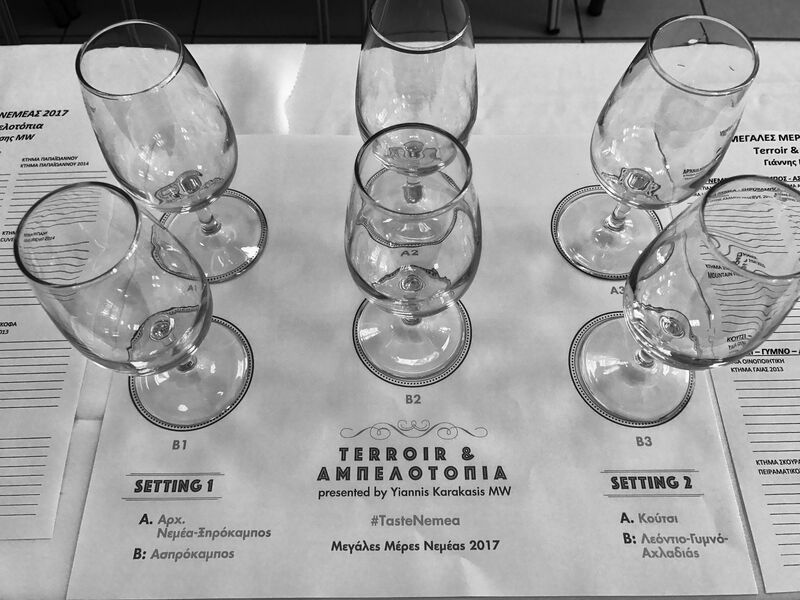 Let's take a look at the various terroirs using the tasting I organized for the Nemea Winery Association and the Great Days of Nemea as a guide, since the reasoning was to compare seemingly dissimilar areas. Ancient Nemea is the second sub-region with an altitude of 330 meters. The soils are mostly clay, with limestone found at depths greater than 50 cm. It has a few slopes and the soils are less heavy and less fertile than those of classic Nemea. The neighboring Xirokambos is a beautiful valley, dark and late ripening because it is enclosed by high hills; the soils are red and clayey with good drainage, at 300-340 meters altitude. Asprokambos, on the other hand, starts at about 700 meters at its lowest end (very fertile, limestone-free soils which are not well irrigated) and rises to 770 meters in Kefalari and 800m in Psari that has a southern exposure and is therefore favored. Especially the western slopes that receive the afternoon sun are considered to have more potential for the production of red wines. Conclusion Interesting first flight with the wines from Ancient Nemea showing intense black fruit and an unexpected floral character (violet?) with much elegance and tight tannins. Close in style with the wine from Xirokampos with plenty of dark fruit and intense anise in an overall velvety wine. The flight of Asprokambos combined fruit maturity (fig) with elements of underripeness (red cherry) and a touch of white pepper; ion the palate the acidity was obvious. Koutsi is the most well-known sub-region of ​​Nemea with several producers producing their wine there. It has the smallest diurnal temperature variation, and includes mostly western slopes that rise from 350 m to 500 m. Western exposure means heat and there is abundant limestone at 30-40 cm from the surface. Achladias is a recess in the plain with an eastern exposure of 300 m altitude, gravelly and sandy soils due to the Asopos alluvial deposits, which become more rocky and coarse as one approaches the mountain. Leontio at 350 meters above sea level is a very interesting valley, while Gymno is a continuation of Leontio and starts at 370 meters and goes up to 500 meters. The slopes are gravely. Conclusion: The flight could have easily included 6 wines from Koutsi alone, but I found it hard to get wines from the rest of the terroirs; this means that our conclusions about Koutsi are firmer whereas the other places gave us hints as to what can be expected. Wines from Koutsi showed elements of intense red fruit with no floral aromas. Instead there was some spice and pure fruit. There was plenty of freshness and liveliness in the mouth. 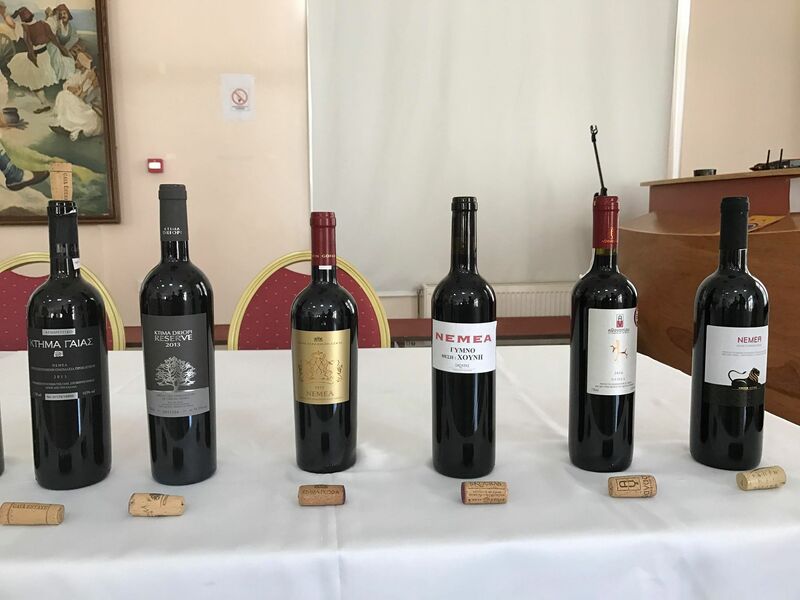 The rest, I would like to see again because Skouras’ experimental was very youthful and tight, and because Raptis Nemea was the most evolved of all the wines, though enjoyable. Nemea wants to change. I am sure that this can be achieved provided it focuses on this change. Special thanks to Professor S. Koundouras and Kostas Bakasietas for all their help.